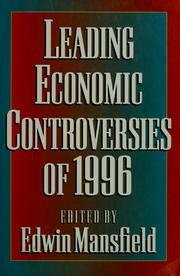 Are you sure you want to remove Resources of the Pacific slope from your list? 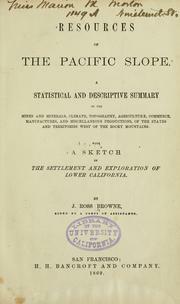 Resources of the Pacific slope: A statistical and descriptive summary of the mines and minerals, climate, topography, agriculture, commerce, manufactures, and miscellaneous productions, of the states and territories west of the Rocky mountains. 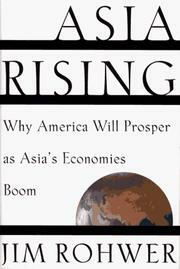 Resources of the Pacific slope. 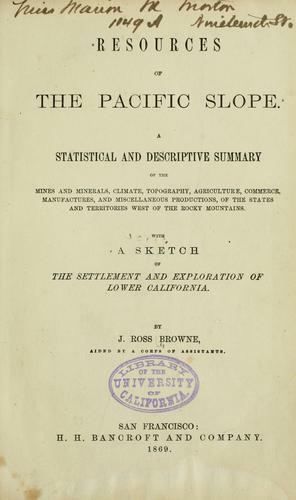 : A statistical and descriptive summary of the mines and minerals, climate, topography, agriculture, commerce, manufactures, and miscellaneous productions, of the states and territories west of the Rocky mountains.